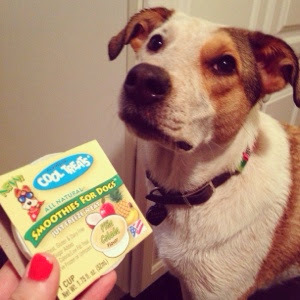 If you and your pup are trying to beat the summer heat, try a smoothie! 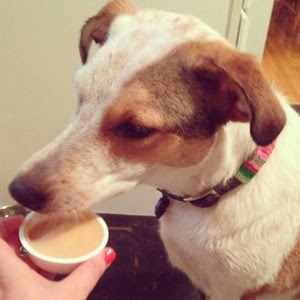 Mr. Barksmith's Cool Treats are delicious, healthy and natural smoothies for dogs. 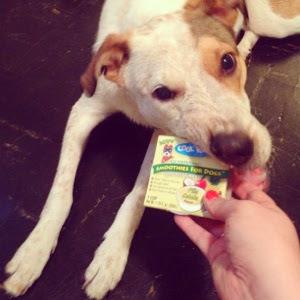 They are low in calories and made with high quality ingredients your dog will love. The smoothies come in three delicious flavors, Carrot Cake, Peanut Butter and Piña Colada. 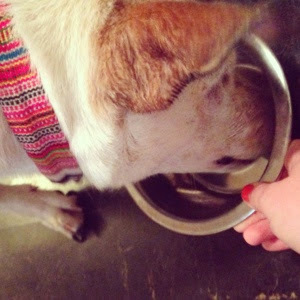 Just throw the smoothie in the freezer and pop it into your pup's bowl when frozen. Maple loves them! !